The game is played with 130 playing cards + joker. With min. 3 equal symbols you win. The remaining number of every card symbol is shown in the stack. 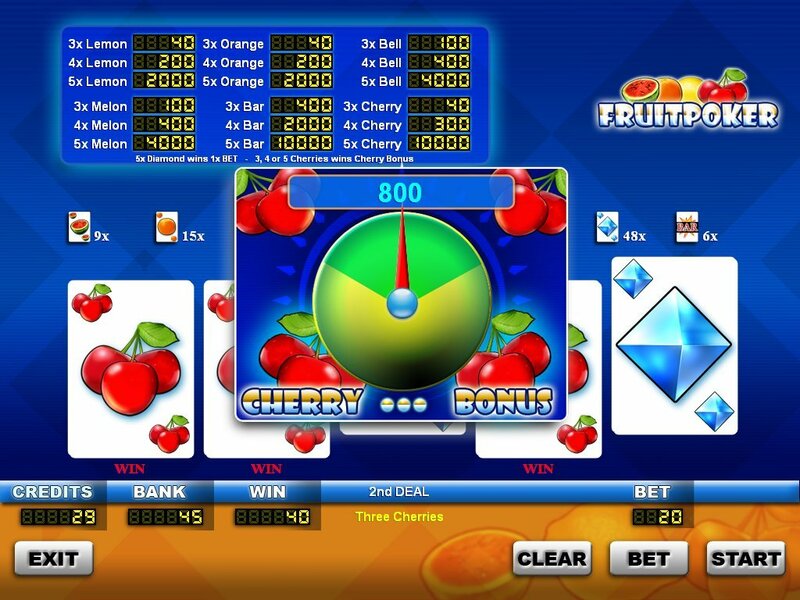 With 3 or more cherry symbols you win a extra cherry bonus feature game where the win can be increased furthermore. All wins may be risked using the popular red/black gamble feature. 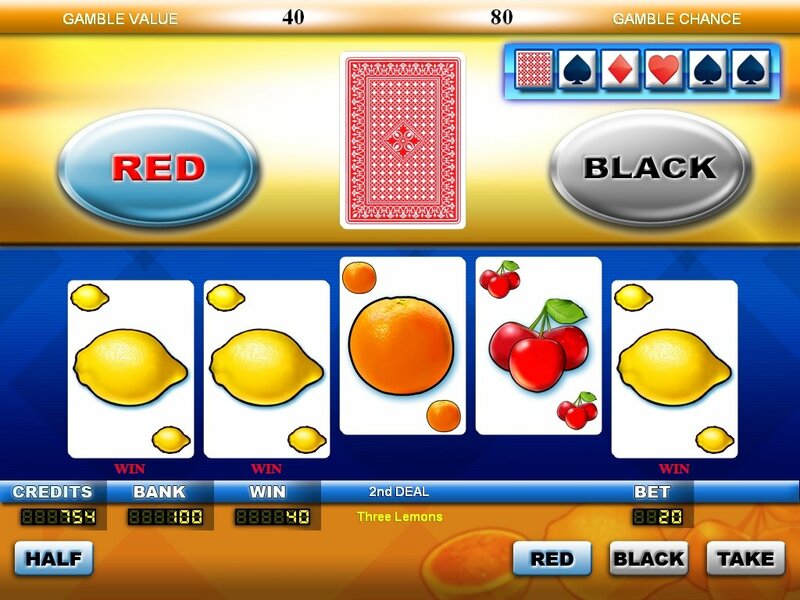 This gamble feature offers half win and a display with the last gamble cards. 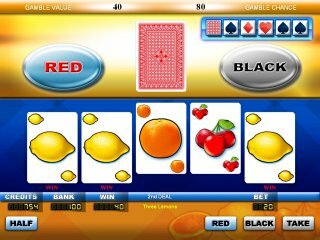 Further options such as autohold provide a relaxed gaming experience which is further supported by real Vegas sound effects creating an exciting atmosphere for players.